The fruit of the bitter melon plant resembles a small, bumpy cucumber and is used as a food and, along with its seeds and leaves, as an herbal remedy. 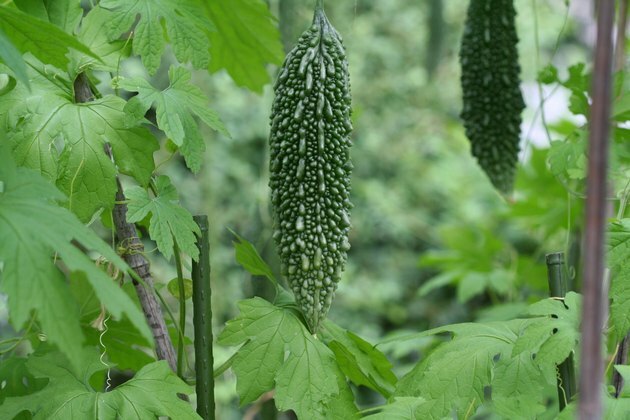 The plant, which is also known as bitter gourd, cerasee and balsam pear, is native to tropical parts of Asia, Africa and South America. Bitter melon can be eaten fresh or taken in a tea made from a tincture or juice. Bitter melon is best known for its ability to lower blood sugar, but never self-treat diabetes with bitter melon or any other herb. Take bitter melon only under the direct supervision of your physician as there are some side effects. Bitter melon is effective in lowering blood glucose levels, but this can be a double-edged sword. 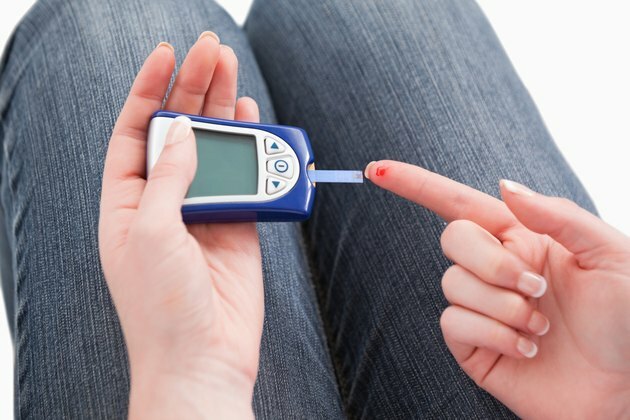 Taking too much bitter melon, taking it with other glucose-lowering medications or taking it when your blood sugar is already low can produce the opposite effect of decreasing your blood sugar too much. AltMD states bitter melon can interact with diabetes medications, including insulin, chlorpropamine, phenformin and glyburide, causing severe hypoglycemia, or dangerously low blood sugar levels. If not treated immediately, severe hypoglycemia can lead to coma and death. Take bitter melon only as directed by your health care provider. Taking bitter melon for an extended period of time to control diabetes can increase your risk of developing liver inflammation. Phyllis A. Balch, author of "Prescription for Herbal Healing," states although bitter melon doesn't appear to damage liver tissue, long-term use of the herb can elevate liver enzymes, leading to atherosclerosis, or hardening of the arteries. For safety, have your liver enzymes checked routinely while taking bitter melon, and do not take it if you have liver disease, cirrhosis or a history of hepatitis or HIV/AIDS. 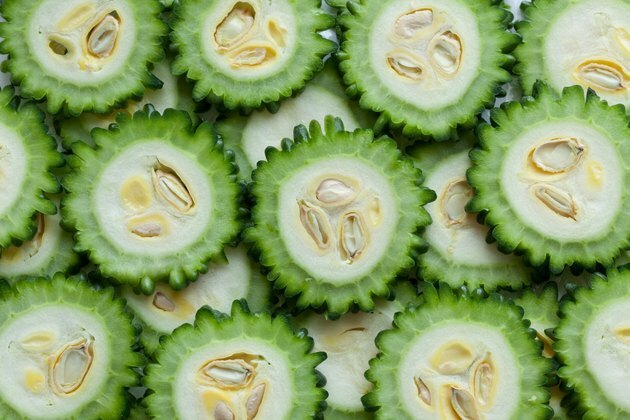 It's possible to suffer an allergic-type reaction to bitter melon called favism. 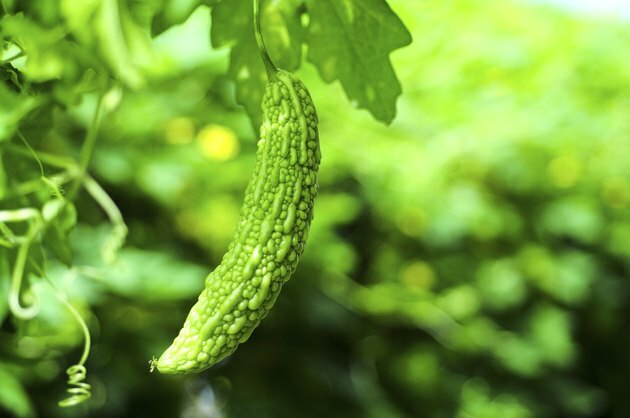 In particular, if you have an inherited deficiency of glucose-6-phosphate dehydrogenase, an enzyme needed by red blood cells to maintain their shape, you can have a rare allergy to vicine, a substance found in bitter melon. A deficiency of glucose-6-phosphate dehydrogenase, or G-6-PD, can cause favism, which is a potentially fatal allergic reaction, causing abdominal or back pain, dark urine, jaundice, nausea, vomiting, convulsions and coma. Anyone can have a G-6-PD deficiency, but it is more prevalent in males of Southeast Asian, African, Middle Eastern and Mediterranean descent. Milder side effects include nausea, vomiting and diarrhea, but bitter melon can also cause stomach ulcers. Bitter melon is toxic to children and should only be taken by adults. Bitter melon can be used to bring on menses, so don't take it if you are pregnant. Bitter melon can also cause irregular heartbeat, headache, decreased fertility, muscle weakness and drooling. Don't take bitter melon with diabetes medications, corticosteroids or fertility medication.